Black nail polish is something that I use in almost every design I create, but it is never a prominent colour. Black just seems so dark and scary and overpowering so I’ve avoided it. Until now. I was feeling particularly brave today and decided if I paired black with something pretty and innocent it would even out. So naturally I paired it with roses. 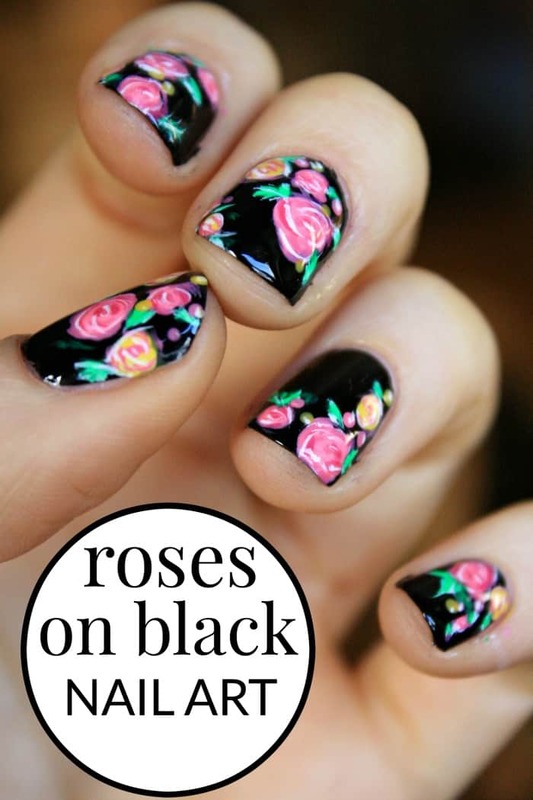 I don’t know if I’m completely over my fear of black nail polish, but I must say that this rose nail art design did turn out better than I have imagined it could. I think this design is a good way to start easing into the idea of spring. It has flowers but isn’t too pastelly, meaning it can work well for winter too. Whatever the category, I like it. Roses are one of my favorite objects to paint on my nails because they look so complex but are actually fairly simple to do, and don’t take hours to paint. I would highly recommend looking up a YouTube video on how to paint roses and trust me, you’ll soon be painting mini roses on your nails like a pro. Oh my gosh. The nails are beautiful. When can you come and do mine?????? 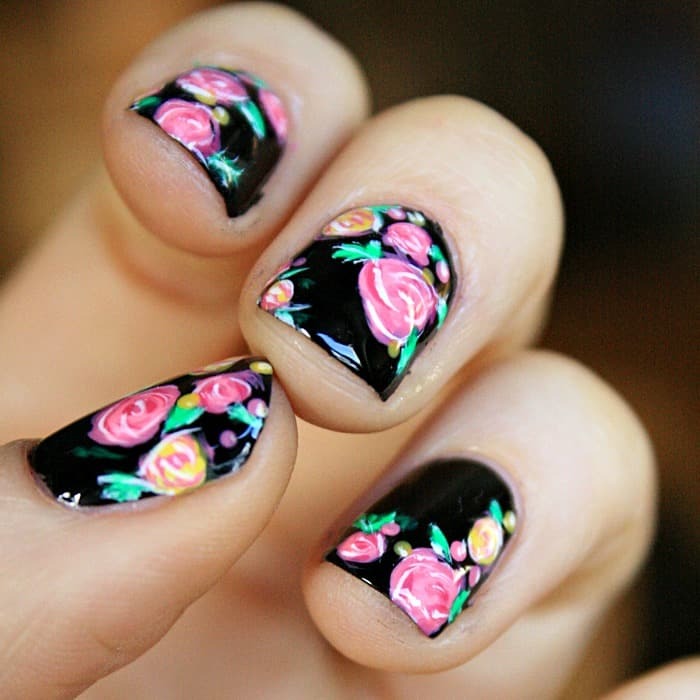 This nail design has such a vintage feel to them, they are so pretty!